Official WhatsApp for Windows desktop application alows you to stay in touch anytime and anywhere - whether on your phone or computer at home or work. 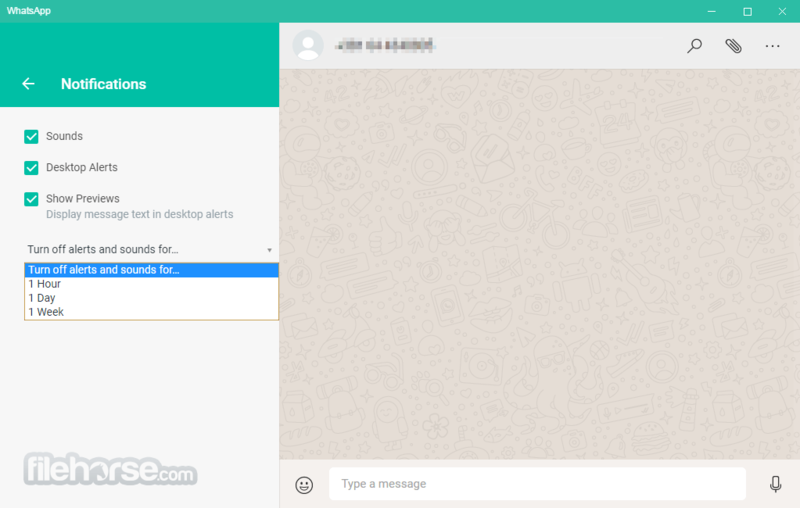 Send free messages from desktop Windows PC! The app itself is quite similar to WhatsApp Web that was meant to be an extension of your phone: the app mirrors conversations and messages from your mobile device. 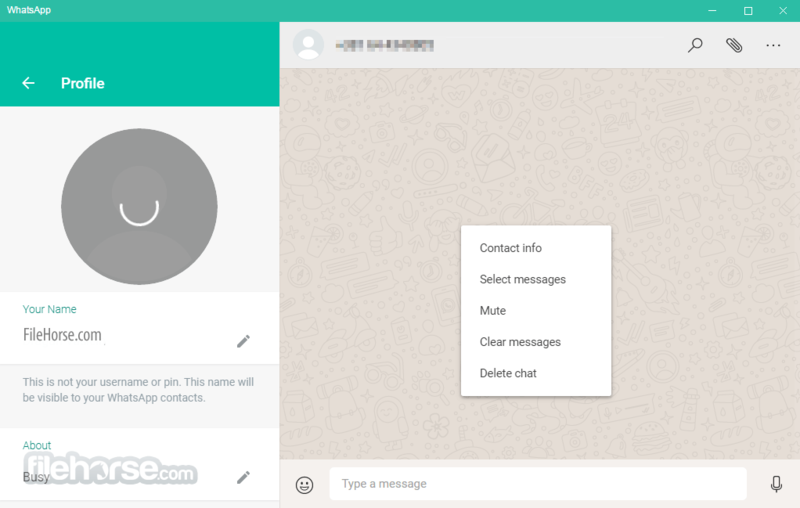 The WhatsApp for PC offline installer is available for Windows 10, 8 and 7 and is synced with your mobile device. Because the app runs natively on your desktop, you'll have support for native desktop notifications and better keyboard shortcuts. When WhatsApp finally got a voice calling feature last year it left us with just one question: when do we get video? Well, now it's underway. Looking for Online Voice Changer Software in Real Time? Check out AV Voice Changer Software Diamond NOW! 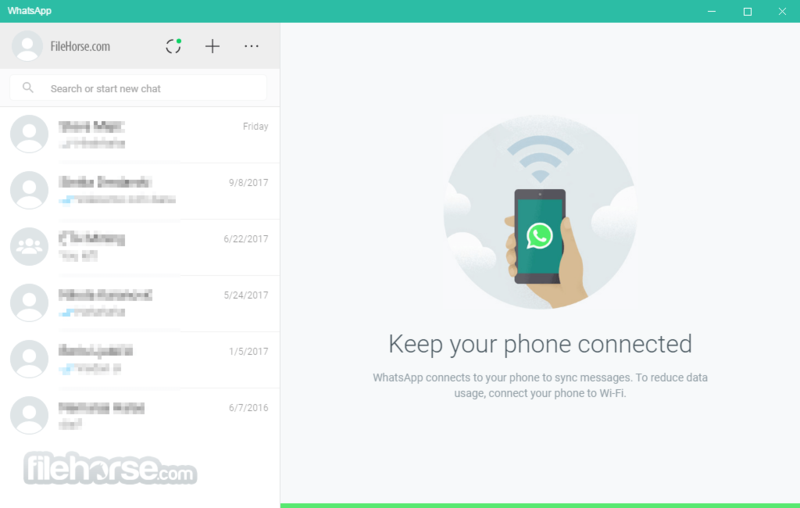 Just like WhatsApp Web, the New Desktop App lets you message with friends and family while your phone stays in your pocket. WhatsApp must be installed on your cell phone so you can use WhatsApp 2019 on your PC. WhatsApp supports only 64-bits versions of Windows. Message your friends and family for free. WhatsApp uses your phone's Internet connection to send messages so you can avoid SMS fees. With voice calls, you can talk to your friends and family for free, even if they're in another country. And with free* video calls, you can have face-to-face conversations for when voice or text just isn't enough. WhatsApp voice and video calls use your phone's Internet connection, instead of your cell plan's voice minutes, so you don't have to worry about expensive calling charges. Some of your most personal moments are shared on WhatsApp, which is why we built end-to-end encryption into the latest versions of our app. When end-to-end encrypted, your messages and calls are secured so only you and the person you're communicating with can read or listen to them, and nobody in between, not even WhatsApp 2019 latest. Note: WhatsApp must be previously installed on the mobile phone. 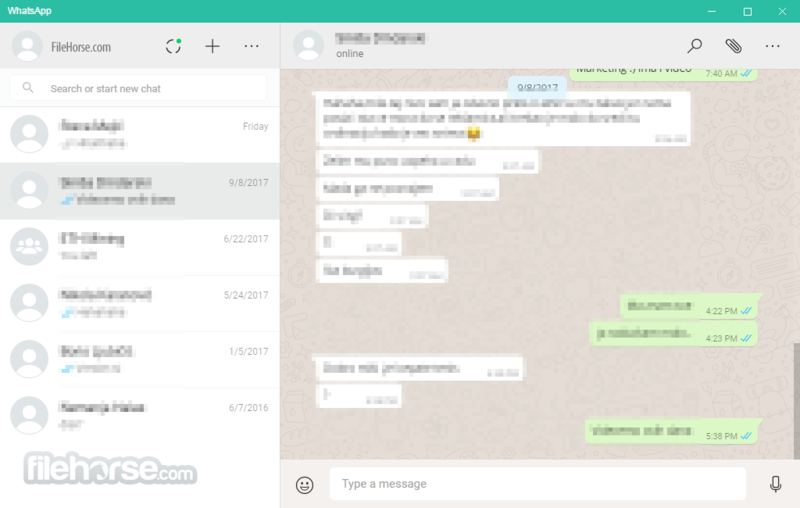 Also Available: Download WhatsApp for Mac and WhatsApp for Web.